A former Minister of Special Duties and presidential aspirant on the platform of PDP, Alhaji Kabiru Tanimu Turaki has said any of the aspirants seeking the party’s ticket is strong enough to defeat President Muhammadu Buhari if given the ticket. 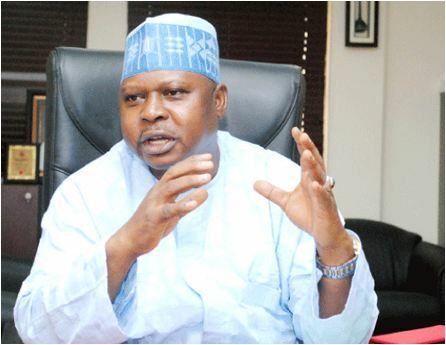 Turaki, a Senior Advocate of Nigeria (SAN) stated this yesterday in Abuja when he visited the ‎PDP national secretariat to notify the National Working Committee (NWC) of his intention to run on the party’s platform. According to him, “All our presidential aspirants are eminently qualified to be president of this country and each of us can perform far better than what Buhari is doing now,” he said. Turaki said his ambition was not a do-or-die affair, adding that even if he did not get the ticket, he would support whoever emerged as the party’s candidate. He said the present government couldn’t find any of the PDP members guilty for prosecution three years after, except the former governors of Plateau and Taraba states, Joshua Dariye and Jolly Nyame, saying their cases were initiated during the PDP administration. The PDP National Chairman, Prince Uche Secondus in his response, promised a level playing field for all the aspirants, adding that the days of imposition and impunity were over in the PDP.